It looks like Amazon has gotten tired of waiting for the Chinese government to let them start selling the Kindle in China; they just opened the Chinese Kindle Store and are encouraging their local customers to download and read on iOS and Android apps customized for Chinese. Told you this was coming. Techcrunch beat me to the story this morning, and they noticed that the newly launched Kindle Store on Amazon.cn stocks around 22 thousand titles. There's no mention of the hardware, however, so it is my guess that the Chinese govt really is putting up regulatory hurdles to block the Kindle. Starting in 2010 with the Kindle 3, Amazon has gotten several Kindles and Kindle Fires certified to sell in China, but that appears to only be some kind of technical certification (like the FCC) and not the type of business regulation approval that a foreign company would need to get before they could launch a device in someone else's country. If anything, today's launch could be regarded as Amazon's solution to the Gordian Knot. If they can't sell hardware themselves they will just sell ebooks. The Kindle is already being imported into China by third-parties, and there is enough of an existing user base that services have already started to spring up to support the readers. 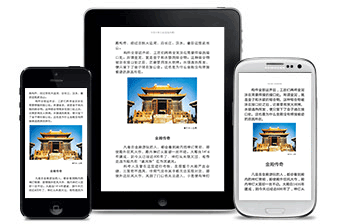 iKindle.mobi, for example, helped Chinese Kindle owners subscribe to news sources. Unfortunately for Amazon, most of the Kindles which have been imported into China are earlier models which lack support for Chinese; that's a feature which I think only the Kindle Paperwhite currently supports. In order to support Chinese the older Kindles are running someone else's software (Duokan), and that puts the owners outside of Amazon's reach - at the moment. Amazon is the first major ebookstore to launch in China, a country of over a billion people. Niether Google or Apple sell there just yet, so Amazon's only real competition is the local small fry like Shanda, Hanvon, and DangDang. Speaking of the local market, the lack of the Kindle hardware might not actually hurt Amazon at all; in China smartphones are significantly more popular reading devices than ereaders, and since Amazon can support the highly popular iPhone as well as the many knockoff Android smartphones, they should come out ahead. Weirdly, no KDP books seem to be in the Kindle Store (or, at least, I couldn’t see the few I checked for – including mine. And there’s no reference to China in either the pricing interface or the reports in KDP. After that article you wrote about how the Chinese expect $0.99 eBook prices, I wonder how well their sales will fare. I will admit that I don’t know. But Amazon seems eager to open the Kindle Store, so they must see something I do not.